NDAA WATCH: Can Space Flight Rise Above Parochial Politics? Sen. Rand Paul (R-KY) often says that there is an unholy alliance between the right and left that conspires to spend more of our money at every turn. He’s absolutely right. Big Brother has spent taxpayer money on everything from a $500,000 study to determine if smiling in selfies makes you happier to an over $2 million research project analyzing what makes the perfect first date. Politicians from both parties are motivated to please campaign donors and provide the bacon for their home districts, so they all shake hands and agree to spend more on everything. While Congress’ rampant fiscal irresponsibility is terrible on all fronts, there’s an extra element of danger added for matters relating to national defense. Time and time again, Washington ignores defense experts and instead appropriates money for wasteful, inefficient technology, jeopardizing the security of the American people by reducing the available funds for more pressing needs. Consider the Abrams tank. A few years ago, the Army begged Congress to stop funding half a billion dollars for tanks that it doesn’t need. But Rep. Jim Jordan (R-OH), whose district happens to manufacture those tanks, and other Ohio representatives would not let up and overrode the defense chiefs to serve their own parochial interests. To streamline the budget that same year, the Armed Forces also planned on retiring outdated materials that they no longer had any use for – among them: Ticonderoga class cruisers, C-130 and C-5A cargo aircrafts, B-1 bombers, and unmanned aerial vehicles. Yet most of their requests were ignored by Congress, which put in the NDAA that “none of the funds authorized” can be used “to retire, inactivate, or place in storage a cruiser or dock landingship.” Other mandates were similarly used to ensure that unnecessary items would remain funded. Fast forward to the present, and it’s clear that members of Congress have become no less shameless in their efforts to prioritize defense procurements for their districts and donors. Sen. John McCain (R-AZ) has enjoyed a rather cozy relationship with SpaceX CEO Elon Musk, who has donated generous sums to the McCain Institute as well as the Senator’s campaigns. To please his rain man, McCain works tirelessly to introduce amendments, earmarks, and other provisions that shield Musk’s government-funded empire from competition. Last year, McCain introduced an amendment to the NDAA that would have completely banned the use of Russian rocket engines to launch satellites into space, conveniently leaving SpaceX as one of the only remaining qualified providers. While everyone’s goal is to phase out the use of Russian rockets, the Air Force has been clear: until competing engines are fully developed in just a few short years, the RD-180, which 56 percent of EELV launches will rely on until FY 2020, remains necessary. To McCain’s dismay, Congress agreed and passed an amendment that will retain funding for the RD-180 until 2022. McCain has not given up. He made defense leaders sweat by trying the same trick a few months ago, attempting to use the Russian hysteria in today’s political climate to his advantage by sticking the ban in a Russian sanctions bill. Again, he failed. Yet again, this is just fancy lingo for protecting SpaceX. Right now, there are only three major launch systems -- SpaceX's Falcon 9, and United Launch Alliance’s (ULA) Delta IV and Atlas V. The Delta IV is outdated and being phased out, while ULA is also looking to phase out the use of the Atlas V since it uses some Russian rockets. ULA is in the process of creating a new launch vehicle that would replace these two and adequately compete with SpaceX’s Falcon 9 in just a few short years. 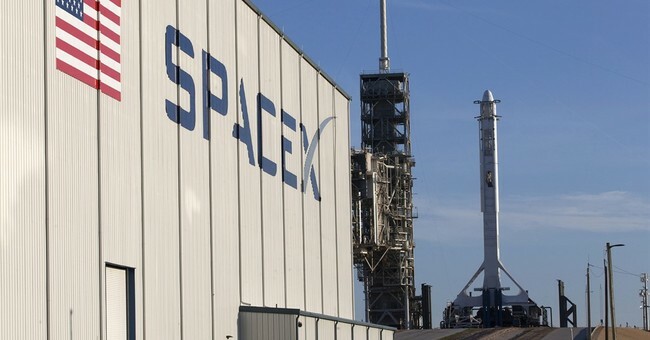 The DOD has already saved taxpayers $300 million with its strategy for developing new launch systems, yet some in Congress are again looking to throw this cost savings away by intervening and cutting off funding to protect their pal Elon Musk. The Trump Administration, Department of Defense, and Air Force have already expressed heavy disapproval with these sections of the NDAA. The White House said they will “limit domestic competition, which will increase taxpayer costs by several billions of dollars through FY 2027 and stifle innovation.” The biggest kicker is that by suspending funding for the new launch system, Congress will be risking delays in ending the use of Russian engines. Thankfully, Rep. Mike Coffman (R-CO) has an amendment on the table that will completely scrap Section 1615 and allow the Air Force’s continued competitive investment in domestic launch systems. Congress must stop overriding the Pentagon’s judgement calls for self-serving political reasons. SpaceX has certainly been a boon to space travel, but every company is more efficient in the face of competition. We can and should protect taxpayers by ensuring the business interests of yet another large congressional campaign donor are not put above the security needs of the country. Passing the Coffman amendment would be a great first step in this regard.